We all know the legend of Marsyas, the satyr who challenged the god Apollo to a musical fight, which caused his death. 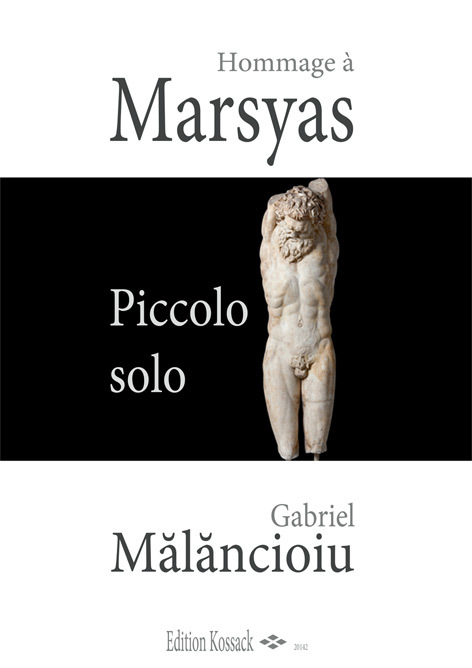 The association of this work with Marsyas is not accidental: the satyr used to fascinate his audience playing an instrument called Aulos, an ancestor of the flute. I tried pointing to a space of mythical consciousness by using a musical structure found in Byzantine music, called "the wheel", suggesting a cyclical form of life. Using repetition as an important principle of construction, provides another link to ritualic music. 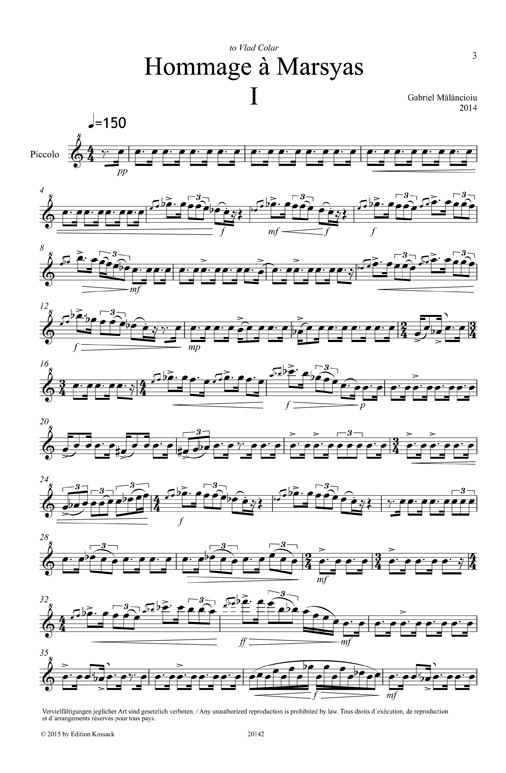 Ideally, the work should be sung in a natural setting, the sound of the piccolo flute from the high register intertwining birds voice, the sound of the deep register dialoguing with the wind’s whisperings.